Everyone in Canada needs to pay their taxes. How you make your CRA payment can differ significantly depending on whether you are applying for individual taxes or corporate taxes. When it comes to paying taxes you have a couple of options. 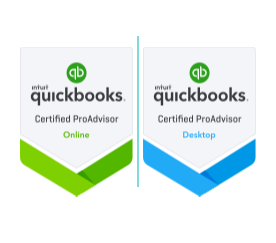 You can either pay them yourself through the CRA website, or you can go to your local accountant and let them make the payment for you. How to Pay CRA Taxes? It can be a little confusing to navigate through the CRA website. We’ve made your life a whole lot easier and created a comprehensive guide (with screenshots) of how to pay your taxes correctly. 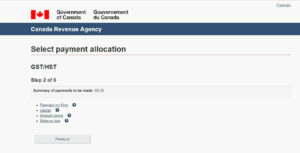 First of all, there are three main categories of taxpayers you will see on the CRA website. Personal Taxes: Taxes for Individuals- if you are an employee and you do not own a business you will use this link. Corporate Taxes: Taxes for Corporations- if you run a business or corporation you will use this link. HST Tax for Corporations or Sole Proprietorships– all corporations and businesses must use this link to file their HST tax. 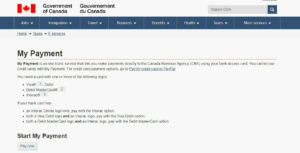 How do I Pay my Personal Taxes with a CRA Online Payment? Let’s take it step by step for personal taxes first. 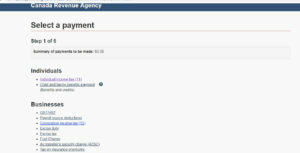 After you are on this page of the CRA website, select the ‘pay now’ button. 3. You then select the option which suits you best and go forward with making your payments. You will need to enter your SIN number and the amount that is due. How do I Pay my CRA Corporate Tax? Now let’s see how to pay corporate taxes. 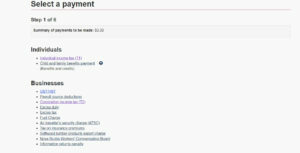 After you are on this page of the CRA website, select the ‘pay now’ button. 3. 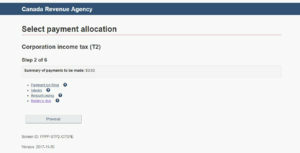 After selecting T2 you will be given an option to pay in a variety of methods. 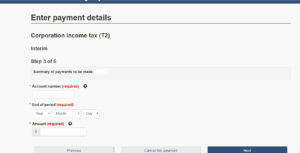 if you want to pay your full taxes which you owe select ‘Balance Due’ and make the payment from there. 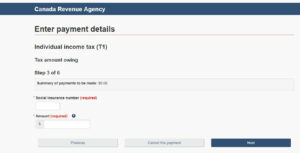 if you only want to pay an installment then select Interim and fill out the required business information. 4. You will be required to fill out the following information, so make sure you have it on hand. How do I Pay HST Tax? If you own a corporation or sole proprietorship you have to pay HST as well. 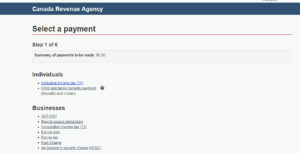 In order to do that, you need to go on this page of the CRA website and select the ‘pay now’ button. 3. You will then be given an option of payment and you can choose if you want to pay the full amount you owe (balance due), or if you want to pay in intervals (intermittent). What Payment does the CRA Accept? Debit MasterCard®- Use the debit MasterCard option when this logo is present, no matter what another logo is present. Making payments to the CRA is relatively easy. You just have to make sure you select the correct category you are paying for.